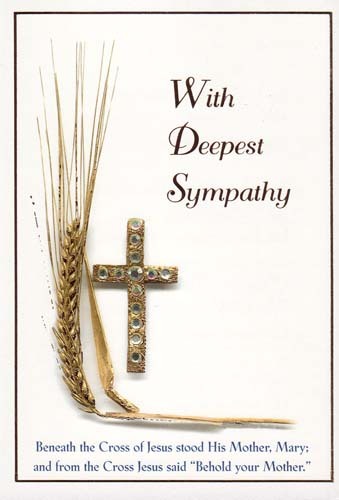 Impressive jewelled cross on cover serves as a dignified way to express sympathies to a friend or loved one. 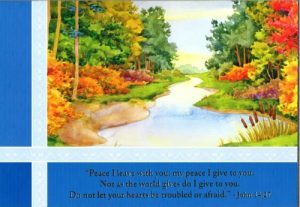 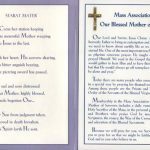 Trifold format, 4-1/2″x 6-1/2″ in size. 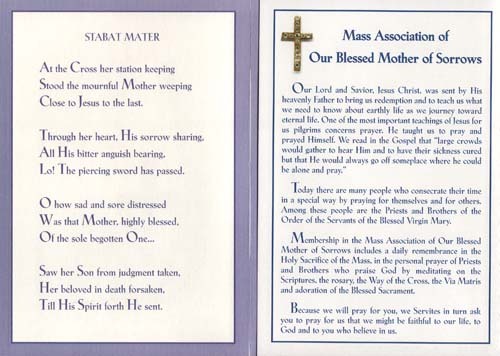 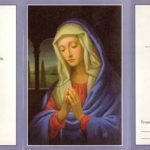 Inside copy: STABAT MATER At the cross her station keeping stood the mournful mother weeping close to Jesus to the last; through her heart his sorrow sharing, all his bitter anguish bearing lo, the piercing sword had passed.